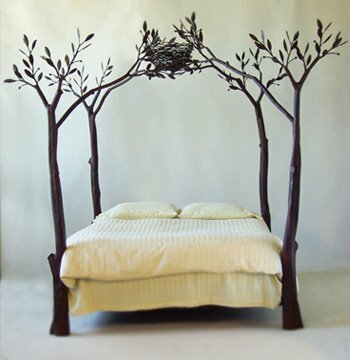 I just came across this gorgeous bed by Shawn Lovell Metalworks. She specialises in making one of a kind pieces. Coming from a sculpture background, she now specialises in metalwork and is based in Oakland, California. 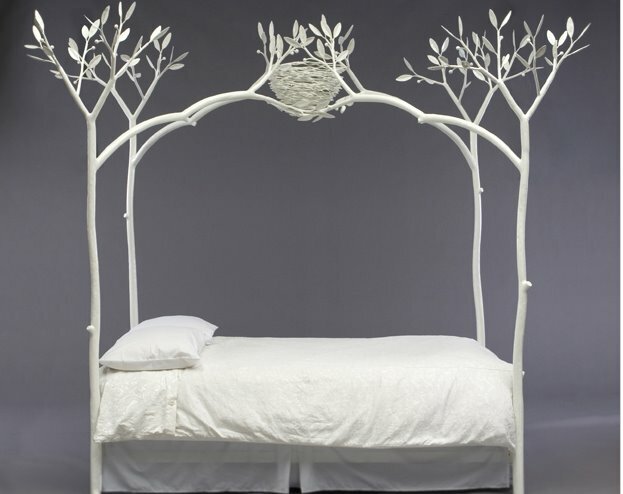 I love her natural look pieces & the bed is like something out of a fairy tale- so dreamy!